want a stress free kids party? want an age appropriate party? 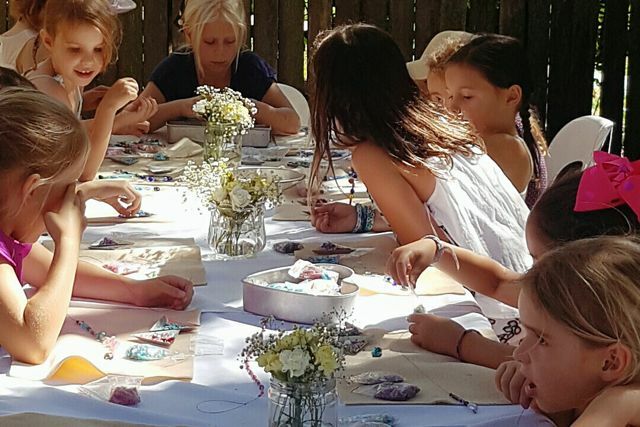 At Etelage we offer kids birthday beading parties for children aged 7 & over. We bring the party to your home or event venue which is a simply fabulous and creative way to celebrate. We make your party planning easy and make organising your event simple and stress free. No clean up! 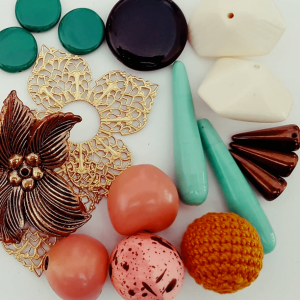 All guests will make their own unique piece of beaded jewellery or sparkly sun catcher and discover easy DIY jewellery skills plus take it home in a beautiful carry purse. We are also happy to work with a theme from any kids character. Popular themes include the lovable children’s picture book Fancy Nancy, this larger than life character is sure to make any party a memorable event, recreate the magic of Disney’s Frozen or the adorable Japanese cartoon character from the 1970s Hello Kitty for your kids party. BOOK NOW & LETS PARTY! 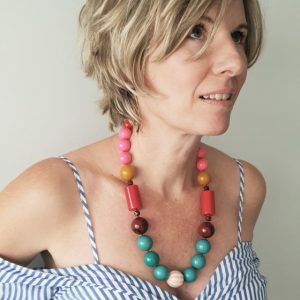 Jewellery making is a fun and creative way to celebrate your child’s birthday. 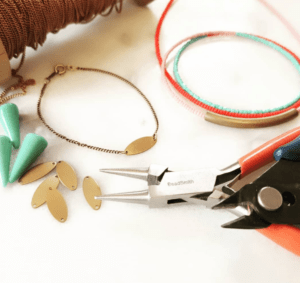 No jewellery making experience is necessary. # 1. “Sparkle Fairy” Make: beaded sun catcher or necklace. A really fun & easy beaded project. A sun catcher which looks fantastic in a window or hung off your child’s bike! 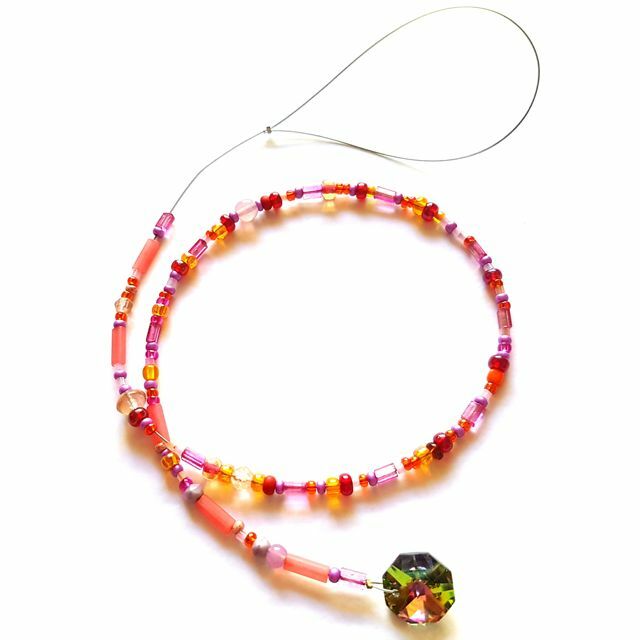 Use a collection of colourful Czech glass beads and finish with a sparkly crystal pendant. Each guest will receive a beautiful carry bag to take their creations home. Request your Etelage tutor to wear her fairy wings! # 2. “Princess” Make: charm bracelet on chain. Every girl loves a charm bracelet! 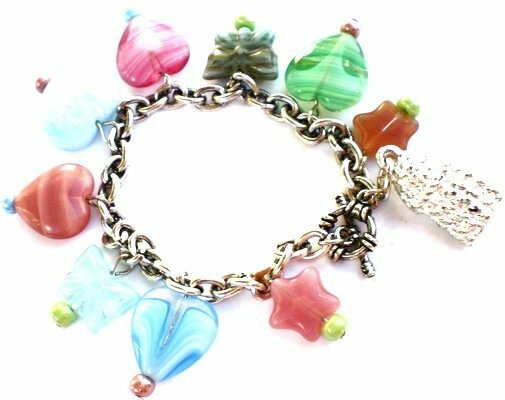 Use a collection of Czech glass hearts, stars & butterflies are linked to an antique silver coloured chain. Finish it off with a solid “Chanel” like tassel & clasp. 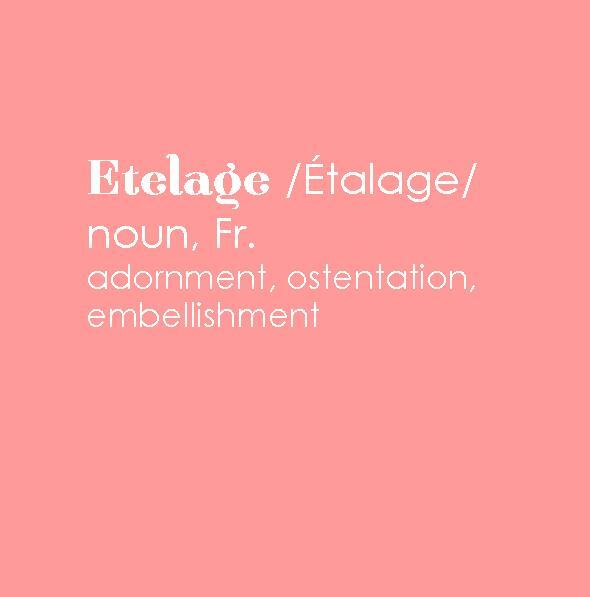 Request your Etelage tutor to wear her princess tiara. Every girl loves her jewels. 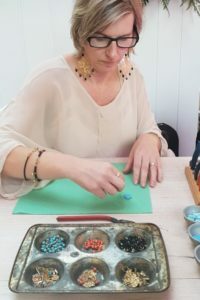 Learn to create your own personalised pendant using charms, lockets, pearl, & Swarovski crystal birthstone. 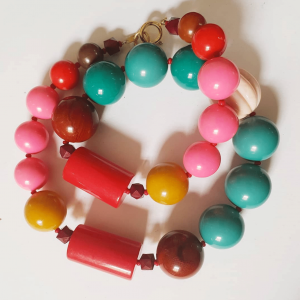 Plus make a pair of beaded drop earrings. # 4. 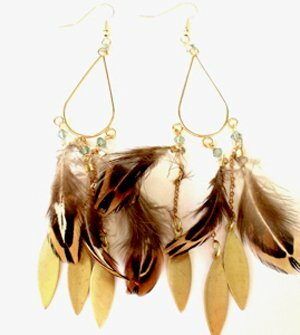 “Boho” Make: layered earrings & feather lariet. 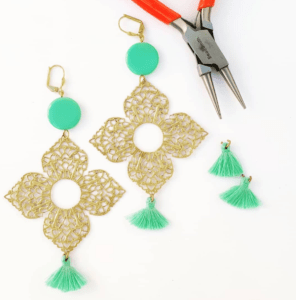 Use jewellery tools to create a great pair of chandelier earrings and a versatile lariat. The lariat can be worn around the head or neck and tied multiple ways. If you would like a longer party a $50 fee for every 30 minutes will be charged. Note: most of the projects have a minimum age restriction. Please choose carefully to avoid disappointment. 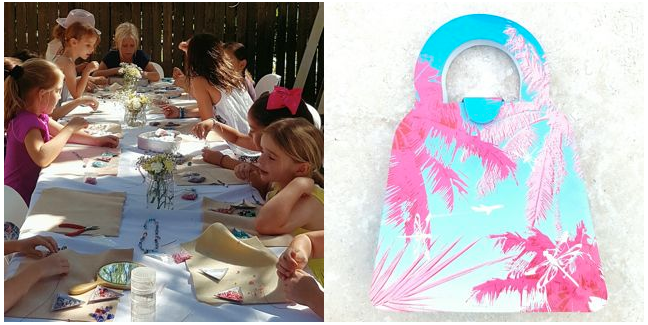 We recommend you choose a project for your child or the average age of the guests. It is always our goal to start the event with all guests present. We are happy to delay the event by up to 15 minutes. If however in the event a guest/s are late we will delay proceeding no more than 15 minutes later than scheduled. 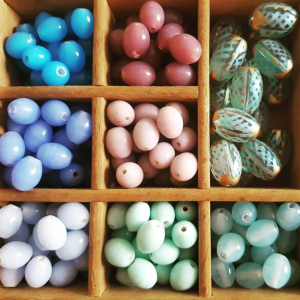 We have a minimum guest age of 5 years due to the small beads we use which could be a choking hazard. Party deposit of $100 is non refundable.